This website is devoted to bringing Light-workers everywhere inspiration and help in learning and growing on their path, because as light-workers ourselves we know and understand how hard it can be living in the every-day world if you do not conform to the norm! We also offer support through our teaching and training courses (our School's website brings you information about courses, support groups and workshops on offer); through the books we write (see further down page); and the healing crystals and esoteric items we sell via our on-line shop (innerlightcrystals.co.uk will show you more). 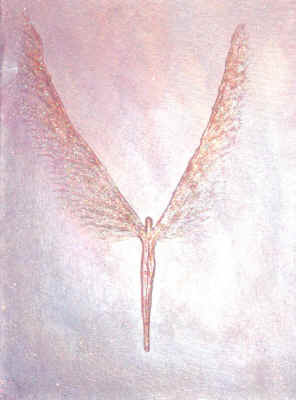 This site contains lots of information and channelled messages compiled, researched and channelled by Hilary and Mark of "Inner Light", bringing you our insights about the Archetypal Energies of Ancient Egypt; about the Archangels (now Archaeon); about the Ascended Masters and some Avatars; about how Ascension might affect us; and on a range of topics concerning tools for personal and planetary growth and healing (such as the Magdalene and Violet Flame and the Order of the Blue Lotus and the nature of our changing Energy bodies) as we work towards our personal and planetary Ascension. You will see at the head of this page a button marked "Donate". If you find our website and the information offered useful and would like to make a contribution to help fund what we do please click on the button. This will take you to a page that will guide you through a simple "PayPal" process. ALL donations, whatever their amount, are very gratefully received and will help fund our continuing Light-work. Thank you! I hate to keep banging on about it and apologies for it now, (this notice is on every page) but we have found our materials reproduced on many other websites without any credit to ourselves or this site. We are more than happy to share, but dislike the rude practice of copying and using material without due credit to its originators, many of whom (like us) will have spent a great deal of time and effort in working on their web pages. So PLEASE NOTE - if you like what you read and want to use it yourself - we have copyrighted all material that we have personally created and channelled on this site - which is most of it. You may freely use any of it for private or personal use only, but we ask that if you wish to use ANY of our material (including pictures and our messages) for publication or reproduction in ANY other shape or form, including using it on other internet pages or sites, that you FIRSTLY contact us for permission... we will then usually ask that you use extracts only - NOT whole blocks- and then credit us as the source of your information and create a web link back to the relevant page(s) on our site. 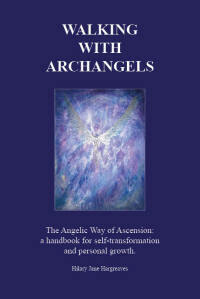 In May 2017 I finally finished writing, editing, reviewing and revising my book 'Walking with Archangels' and self-published it! Wisdoms given by 52 aspects of some of the Greenwood Guardians from the Plant Kingdom. ...It is early evening, and you find yourself standing beneath open skies on the fringes of a desert, at the exact spot where its sun-bleached sands meld with the fertile lushness of a river’s flood plain. To your left the fine pale sands stretch far into the distance, the wind-sculpted crescents of their low rolling dunes lightly veiled by a shimmering haze as the heat of the day submits to the cool of the night; whilst to your right the land appears less hostile, becoming progressively more verdant and green. You can hear the sound of flowing water: so, deciding to seek its source, you carefully pick your way bare-footed through a fusion of green, gold and emerald short- and long-stemmed grasses and crops – the soil dark, firm and moist (and much cooler than the desert sands) giving off earthy scents of loam and sweet new grass with every step you take. After a while, you reach the banks of a wide river: here its margins are delineated by deep stands of silver-stemmed rushes and reeds – their feathery heads, bronzed by the lowering sun, whispering as they sway hypnotically back and forth in a cooling breeze. In contrast, the opposite side of the river is completely open – the water lapping against its gently sloping banks, where a dozen large crocodiles are dozing on the ochre earth and soaking up the last of the day’s heat: these fearsome creatures are paying no attention to the tiny black and white birds perched on their backs – recognising, perhaps, that they are performing a service as they pick off and consume the insects and leeches that have attached themselves to the reptiles’ tough leathery skin. Just as you are wondering what it would be like to be hit by a meteor (! ), the star abruptly shimmers and vanishes – and a massive sphere of brilliant silvery-grey Light materialises on the ground some distance in front of you. Blinking to clear your vision, you re-focus your eyes to see a tall platinum-winged Angel striding towards you, its towering form seemingly cloaked in black and silver Light: as it approaches, it furls its metallic wings, enabling you to see that it has taken the form of a powerfully-built ebony-skinned man wearing a knee-length Egyptian-style kilt: this is Archangel Ratziel. I am Ratziel – Divine Guardian and Overseer of The Word, Author of The Sublime Transcendental Mysteries, Light of Wit and Wisdom and twin flame of Jochara, the Lady Victory. I am he that sustains the Breath of Life, fired and inspired by the Wisdom that is beyond reason, that it may BE in accordance with the words of the World of Fire and Creation; and I am he that holds the fabric of the Universe, and allows the differentiation between what is and is not: thus all that I AM is of Divine contemplation; and all that I do is of the Will of the Divine Light.... So attend me now, and I will show you the secrets of my world, if you would let me, and will open you to understand the many Truths of The Great Mystery, so that you may come to realise that there is much more to Heaven and Earth than you at first might believe. It is those who ‘sacrifice’ themselves who are strongest – and all change requires the sacrifice of something. For some the reward for that sacrifice may be clear, thus making it worthwhile – but sometimes there seems no obvious point or gain. And then you need to have the courage and strength to trust; and the self-belief and faith to go ahead and make the change anyway! Apache Tear is a form of obsidian that is dark smoky-brown and semi-transparent. It is often found in natural nuggets, and – as with all obsidians – is a form of volcanic glass that has no specific crystalline structure, due to the rapidity with which it formed. This lack of structure is of great benefit if you wish or need to work without rigidly imposed boundaries, as it encourages freedom of thought; freedom of movement; and flexibility of purpose. Hence Apache Tear can support you in developing new projects using ‘blue-sky thinking’; and in ‘open-ended’ journeying in meditation or visualisation – in which case you should always ensure that you have cleared and grounded your energy Bodies beforehand (which Apache Tear may also assist with), to be certain that ‘unrestricted’ does not mean ‘unsafe’ or ill-considered! You may also be drawn to work with the polished version of Apache Tear for extra clarity as you travel within and without – for, just as science seeks beyond the Earth to gain a clearer understanding of the nature of the Universe, Apache Tear can aid your personal healing and Ascension work by showing you other worlds and existences too numerous to mention – thus supporting you in ‘reaching for the stars’, both literally and metaphorically! I hope you enjoyed these extracts, giving you just a taste of what you will find within the pages of 'Walking With Archangels! ARCHEANA MAGDALENA RETREAT - Magdalena asks 'What is dying to be born?'.... Find out more about Energy 'Protection' from a new viewpoint! "It is our responsibility to point out that our work as writers, teachers and facilitators is a personal expression of our Spiritual beliefs and practices and presents our interpretation of the knowledge and understanding we have gained over many years. Through our work we offer an opportunity to share our personal experience with others and to facilitate the possibility for individuals working with the information we supply to recognise their own potential. Any advice or guidance we give on these pages should be followed only if an individual chooses to do so of their own free will and we acknowledge and honour each person's right to discern if they wish to embrace within their lives the things we offer, or not." We have copyrighted all material that we have created on this site. You may freely use any of it for private or personal use only.